Sharja Bridge come from the clouds and beats Escobar! 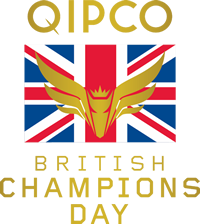 Roger Varian landed the concluding event on QIPCO British Champions Day following the last-gap success of 8/1 shot Sharja Bridge over the straight mile. The four-year-old son of Oasis Dream ran on strongly in the closing stages to collar 33/1 shot Escobar, trained by David O'Meara, to score by three-quarters of a length under a power-packed ride from James Doyle. 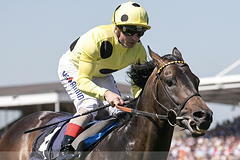 Newmarket handler Varian said: "I spent seven furlongs of that race swearing! I did not think we were going to get a run. "Sharja Bridge is a talented horse and I have always thought a lot of him. He has run some good races in defeat this year. "It was a shame that Andrea couldn't ride and I'm sure he'll be sat at home upset that he couldn't ride. However, he's had a great season. "Well done to James Doyle who gave the horse a great ride." Escobar, trained in Yorkshire by David O'Meara, came home a three-quarter of a length second . Adam Kirby, who rode the 33/1 chance, said: "It was a very tricky race. I thought I had got there late enough, but it was still too soon. "Possibly we have bumped into one on the day - it opens up and you have got to go when you have got to go. "I have ridden him a few times and I keep saying that he has a lot of class. He just needs things to go right. I thought it was going right for me today - I am just gutted!" O'Meara added: "He is a hugely talented horse but he needs things to just drop right for him. He just got to front too early through nobody's fault." Ascot stages the richest mile handicap in Europe with the addition of the Balmoral Handicap to the Qipco British Champions Day card. The race, worth £250,000, is only open to horses that have finished in the first six in 18 nominated qualifier races that take place throughout the season. Those qualifiers include the likes of the Bunbury Cup at Newmarket, three events at Royal Ascot and the Betfair International at Ascot, while there is at least one qualifying race staged at each of the Qipco British Champions Series' participant racecourses.